Christine L'Heureux is the founder of Chouette Publishing and the cocreator of Caillou. 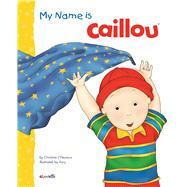 She is the author of several books, including Caillou: Good Night, Caillou: Play with Me, and Caillou: Rosie's Pacifier. Kary is the new illustrator of Caillou. She has been a graphic designer for over 10 years.